Prenzlau, 17.05.2017 – At the Intersolar Europe 2017, aleo solar will be presenting new solutions for even higher yields. The optimized technology flows into the new X-line as well as in the further improved glass-glass module for photovoltaic building integration, Elegante2. As Highlight for Projects the new 300W Poly PERC Module will be introduced. The new X-line represents optimized aleo high performance modules with 60 bifacial PERC CELCO cells and slimmer frame. The black, slimmer frame offers advantages in logistics and handling, and acts more elegantly on the roof without compromising the module load capacity in comparison with the former 50mm frame. By using the bifacial cells, the owner of a PV system with aleo X-modules will profit from higher energy yields in the future, as higher yields per Watt peak can be achieved. In the late summer, these modules will be available as X59 and X79 in black. Further confirmation of aleo’s and the SAS groups´ leadership in PERC technology is also featured by the first polycrystalline PERC 60-cell module with 300W power. This product is engineered for powerful projects and will be available on the market up from autumn. “aleo was one of the first committed to high efficiency products. While industry average was 250-260 watt, aleo was already mass producing 290 watt mono and is able to deliver 315 watt modules today. No matter poly or mono, aleo strives to be the technology leader and maintain reasonable cost. Following CELCO (PERC based) technology, aleo is developing PERC poly that reaches 300 watt level. 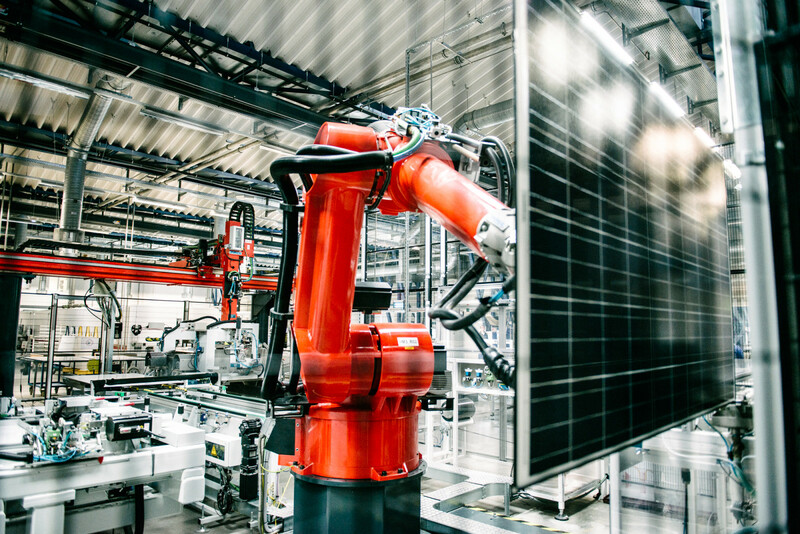 Advanced technology, capability to bring to mass production, highest quality control and PV Modules solely made in Germany are the receipt for the success of aleo. 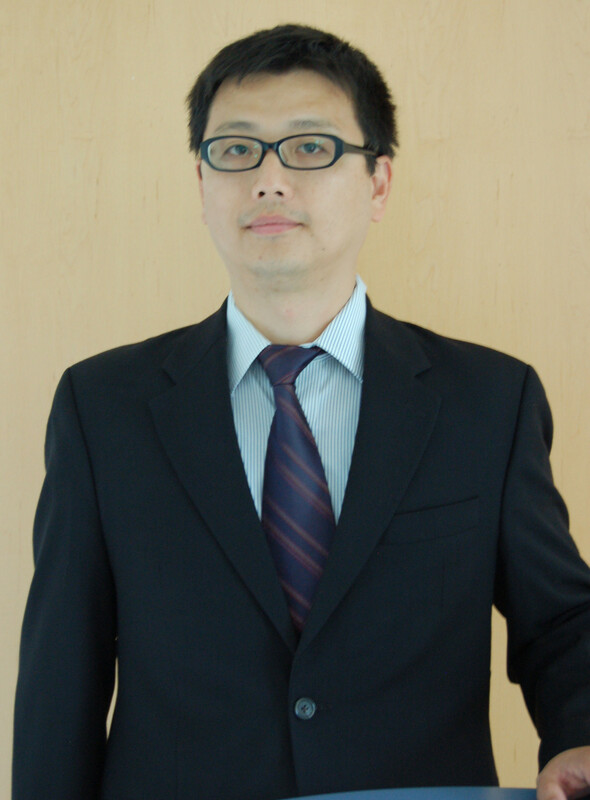 Great synergy behind through many years of efforts is the key, “concludes William Chen, Managing Director of aleo solar GmbH. In transparent optics, the monocrystalline glass-glass module Elegante with the general building authority approval (abZ) of the Deutsches Institut für Bautechnik (DIBt, an authority of the German Länder Governments for a uniform fulfillment of technical tasks in the field of public law.) is becoming an integral part of buildings. The glass-glass modules can be architecturally installed as glass roofs, windows or facades. 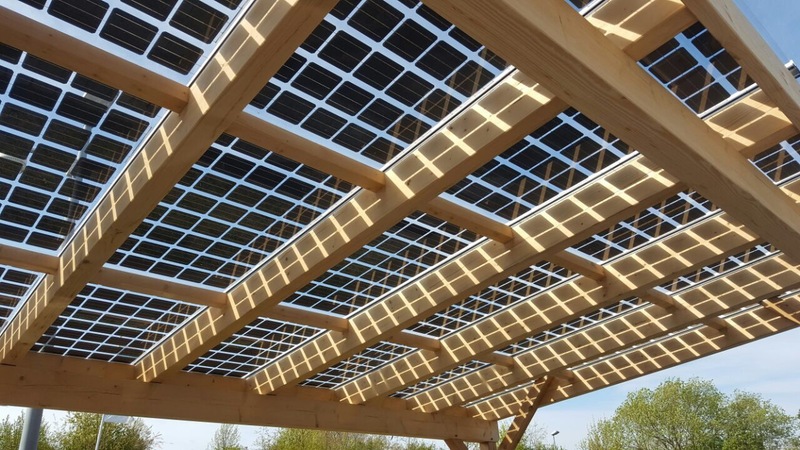 At the Intersolar Europe fair in Munich (31 May to 02 June), aleo solar will present an example of how the Elegante or its bifacial refinement Elegante2 can be fitted into a carport, provided perfectly matched to the Elegante by the company Schmidt & Thürmer, without any visible cables or sockets. 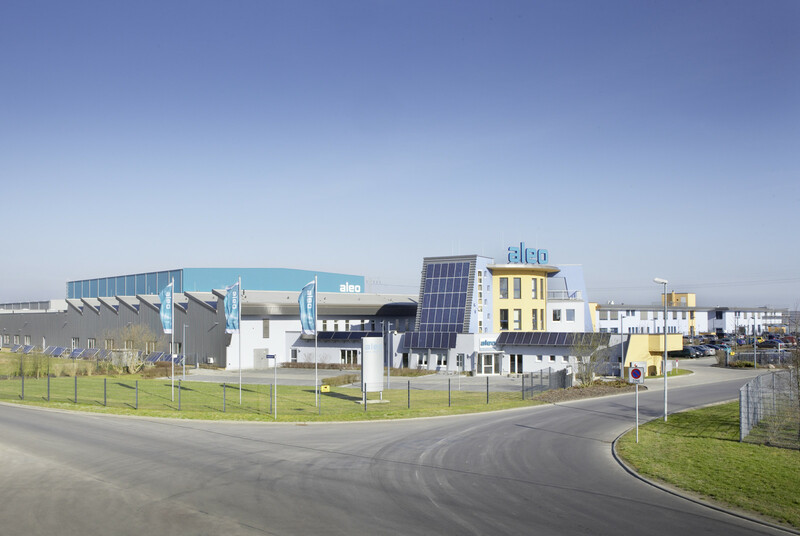 aleo solar GmbH produces high-performance modules in Prenzlau (Brandenburg, Germany) and is a system provider for the international photovoltaic market. With around 330 employees and manufacturing experience since 2001, the company has an excellent know-how in module production. Since 2014 aleo solar belongs to the wafer and solar cell manufacturer SAS (Sino American Silicon Products Inc.) headquartered in Taiwan Hsinchu. Thus, aleo solar is part of a powerful solar manufacturer, which maps the entire photovoltaic value chain, from development and production of high-performance ingots, wafers and cells to the delivery of the solar module. Established in 1981, SAS (Sino-American Silicon Products Inc.) is the largest supplier of 3” ~ 12” wafers domestically at present, possessing complete production lines. Major products include semiconductor, solar and sapphire, application expands to solar, photovoltaic and daily energy. Owing to contribution of management team and entire staff, SAS operation performance always breaks record. Whether in terms of providing technology and information, developing products cooperatively, or sales/service quality, SAS has received firm approval from both domestic and foreign customers, and been rewarded as best seller of the year. In 2011, SAS was ranked third runner-up in Business Next Magazine Taiwan INFO TECH TOP 100.